In a time of ubiquitous technology, there is little to do to escape the far-reaching influences of the digital age. There are ways that technology can greatly improve our day-to-day existence, helping us to live fuller, healthier and happier lives. Here is our round-up of the apps that could potentially help you live better. For anyone who has tried conventional meditation and failed miserably, this one’s for you. 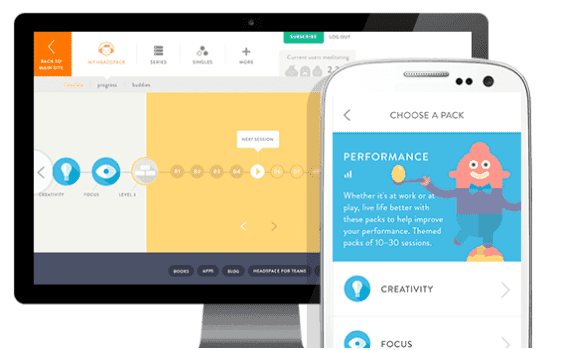 Headspace is an audio-driven app that helps you to cultivate easy and effective daily meditational practices. Setting aside just a few minutes a day, listening to the conversational and accessible guided meditations will help you learn about mindfulness, a concept that could very well change the way you live. The program is aimed at relieving symptoms of depression, anxiety, insomnia and chronic pain. There are few people who don’t have their phone on their person at all times. While it’s in your jean pocket or your handbag, it might as well be doing something useful. 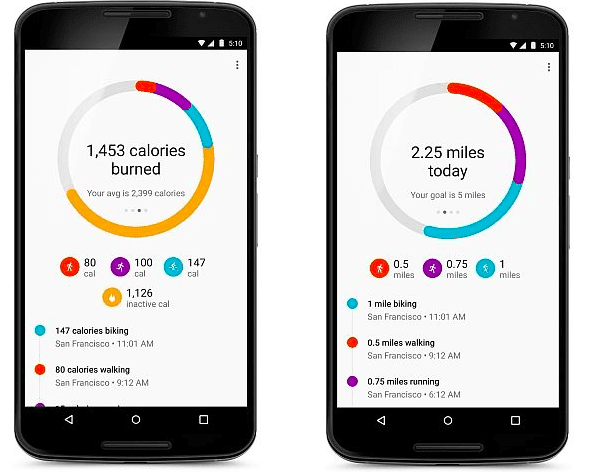 This app tracks your daily actions. It counts your steps, monitors your heart rate and calculates how many calories you’ve burned over the course of the day. It’s a wonderful way to keep an eye on your exercise regime and ensure you’re working toward reaching your fitness goals. TED Talks need little introduction. TED, which stands for Technology, Education and Design, is a conference that focusses on enriching nearly all aspects of our lives. Instead of paying $5000 to be there in person, simply download the app! 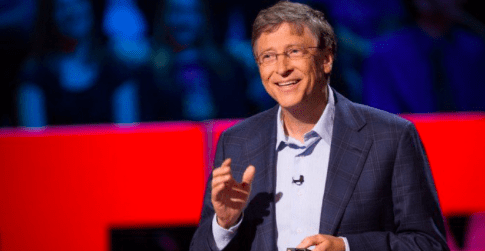 This gives you free access to some of the most inspiring, educational and heartfelt lectures by some of the most accomplished and recognizable faces. Looking to learn a new skill or gain insight into a particular topic? 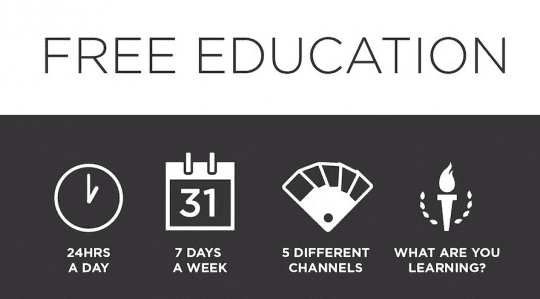 CreativeLIVE is a simple and accessible way to learn and expand your worldly knowledge. The app provides you will live classes taught by some of the world’s most accomplished writers, creatives and entrepreneurs. Download it, check it out and learn something new! One of the wonderful things that the internet allows us to do is get involved in communities that offer us the platform to share our personal insights and knowledge. 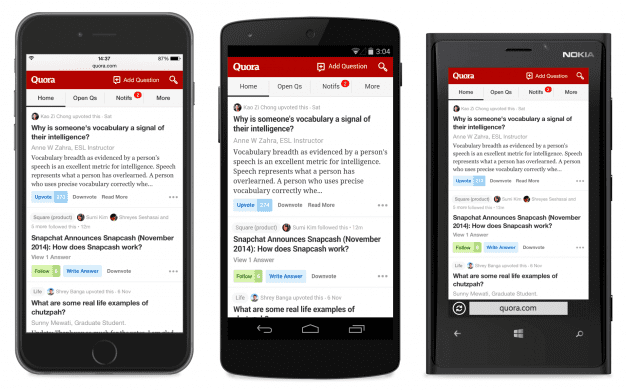 Quora gives you access to Q & A forums that provide you with real answers from real people. Simply ask your question, post it and see the wealth of varied responses that come your way.